Come see the planets Venus, Mars, Saturn and Jupiter. Watch the Moonrise at 10:10 PM. 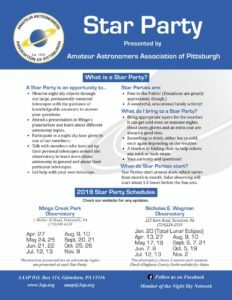 It’s all part of the show during the September Moonrise Star Party sponsored by the Amateur Astronomers Association of Pittsburgh. Observe the Hercules Cluster, the Ring Nebula and the Andromeda Galaxy. Uranus and Neptune will be available for observing later that evening. 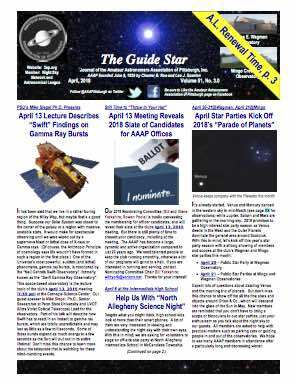 This event is scheduled for Saturday, September 29 starting about 7:15 PM EDT. 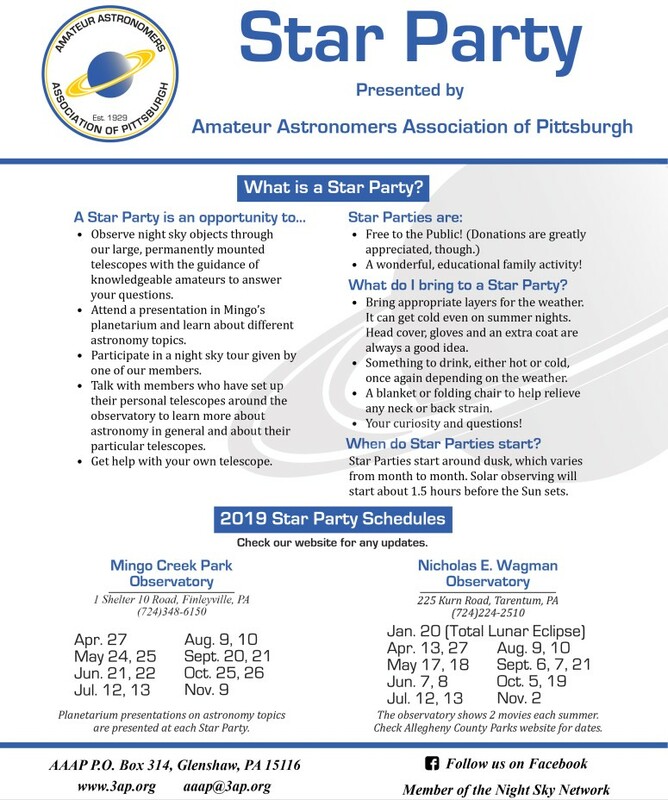 Come see the planets Saturn, Venus, Jupiter, Mars and the Six Day Old Moon. 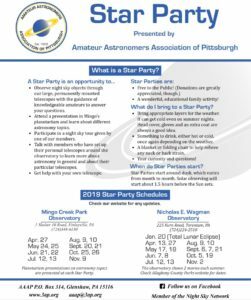 It’s all part of the show during the September Star Party sponsored by the Amateur Astronomers Association of Pittsburgh. Observe the Hercules Cluster, the Ring Nebula and the Andromeda Galaxy. This event is scheduled for Saturday, September 15 starting about 7:30 PM EDT.